At just 24 years old, Aly Raisman has garnered a dynamic range of profound achievements that most people could not dream of achieving in a lifetime. Starting gymnastics at the age of two, Raisman attributed her early love for the sport to the members of the 1996 Olympic women’s gymnastic team. Training at Exxcel Gymnastics and Climbing, Raisman quickly proved her aptitude in the sport. She attended both the 2012 and 2016 Olympic Games in Rio and London and was team captain for both – a role which she says comes naturally to her as the oldest among her two siblings. Raisman is among the most decorated American gymnasts. At the 2012 Olympic Games, she won two gold medals – one for her floor routine and one for the U.S. team performance – and a bronze medal on the beam apparatus. At the 2016 Rio Games, Raisman won a gold medal for the U.S. team performance and two silver medals – one for her all-around performance and another for her floor exercise – coming second to U.S. teammate Simone Biles for both categories. Raisman was also a member of the U.S. team during their first-place wins at the gymnastics World Artistic Gymnastics Championships in 2011 and 2015. 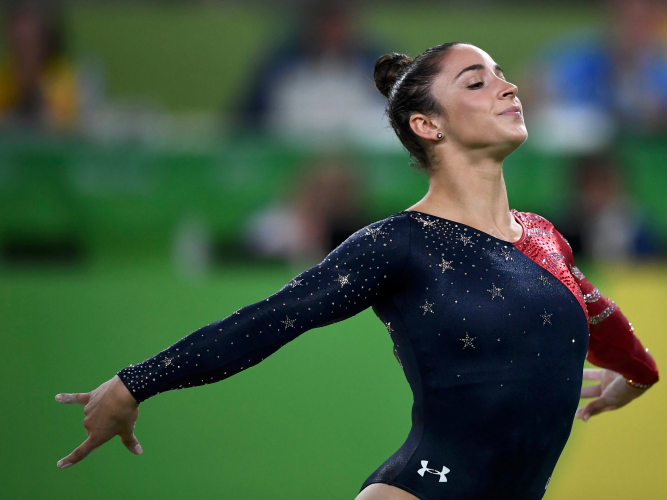 Raisman passionately embraces her Jewish identity and has infused her commitment to Judaism into her sport. At the 2012 Olympics, Raisman requested a moment of silence for the 11 Israeli Olympians killed and held captive during the 1972 Olympic Games. Performing to the Jewish folk song “Hava Nagila,” she also dedicated her gold medal-winning floor routine to the victims. Though she’s known primarily for her gymnastics performance, Raisman’s contributions to the sport transcend mere athletic skill. In the face of the sport’s arguably most intense scandal, the sexual assault trial against the renowned women’s gymnastic doctor Larry Nassar, Raisman took a fierce and unapologetic stance against what she termed the “cancer” that had plagued the sport. 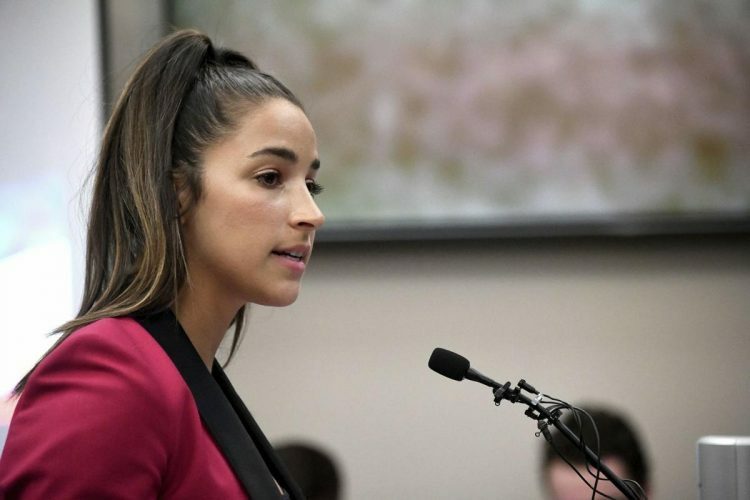 Well after this hearing, Raisman has continued her impassioned quest against this “cancer,” most notable by delivering strong critiques to United States of America Gymnastics (USAG), the governing body for gymnastics in the U.S., which she believes is continuously failing to adequately make reparations for Nassar’s devastating impact on several American gymnasts. “Clearly this is not a ‘new’ USAG. Same corrupt decisions. Perhaps it’s because true accountability is less likely if authority is placed in the hands of someone similarly motivated to avoid it,” Raisman said in a tweet after USAG hired new interim president Mary Bono, who had been a key figure in the cover-up of Nassar’s crimes. Beyond her exemplary effort to take action against injustice within the sport, Raisman has been involved with Aerie’s lingerie campaigns, which use unedited photos with models of various shapes and sizes to embolden self-confidence among women. “I don’t want any young athlete to ever walk into a store and feel that their body type isn’t feminine. No matter what you look like, your body is unique,” Raisman said while speaking about the struggles she faced as young, muscular athlete shopping for clothing where her body type wasn’t well-represented. Raisman is not just extremely talented in gymnastics – she has used the fame garnered from her skills in this sport to speak out on issues of great importance and to embolden the young women who look up to her, making her not only a great athlete but a great role model as well.